Boys registering for the Spring 3rd grade team will compete against younger teams in the "C" Division of the Southeastern Pennsylvania Youth Lacrosse Association ("SEPYLA") and other programs. New 4th graders may be assigned to our 3rd grade team if it is necessary to balance the rosters.Games are local and usually on Sunday afternoons. Practices are 1 or 2 times each week. Third grade players will be provided a reversible numbered pinnie for practices and games. There is no additional fee for the pinnie. Players who register by Black Friday, November 23 will receive their choice of a Swax ball or a pair of Optimist Lacrosse socks. Players must be fully equipped meaning a helmet, shoulder pads, arm guards, gloves, athletic supporter, mouthpiece and soccer cleats.We have a limited supply of helmets, gloves. arm pads and shoulder pads to lend. Please email optimistlax@aol.com if you want to borrow equipment. 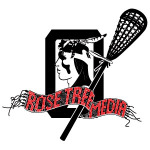 Check out this Lacrosse club team 'Spring 2019 Boys 3rd Grade Lacrosse Team' with Rose Tree Media Optimist Sports!